Winter in southeastern Michigan can seem quite long, often stretching from Thanksgiving to Easter. Since most of the school year is set, therefore, during wintertime, it is best for students, families, and teachers alike to learn to embrace the cold, snowy days with the warmth of familiar traditions. 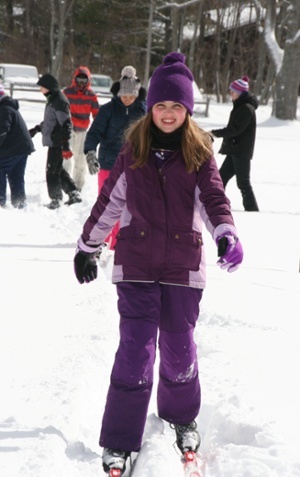 Each year, families at Bloomfield Christian School eagerly await 3 traditions that are a great cure for the winter blues: Spirit Week snow bowl, Elementary book week, and the family ski trip. Since basketball is a popular sport at BCS, the upper school students build their spirit week around the boys’ and girls’ winter basketball season. Spirit week falls at the right time-- the week after Semester 1 final exams in January! The wintertime sets the tone for the Friday competitions, aptly titled “Snow Bowl!” Classes compete against one another to dress a “snowman” (a student), simulate sleigh races with blankets and a slick gym floor, or play floor hockey. The competition is a unique way to ignite enthusiasm in the winter months. Book week is a much beloved tradition at BCS for the elementary students. It provides a great opportunity for the students to celebrate the wondrous worlds open to them when they read great literature. Throughout the week, students have cookies and milk during reading time, or invite “guest readers” into the classroom for a special read aloud. 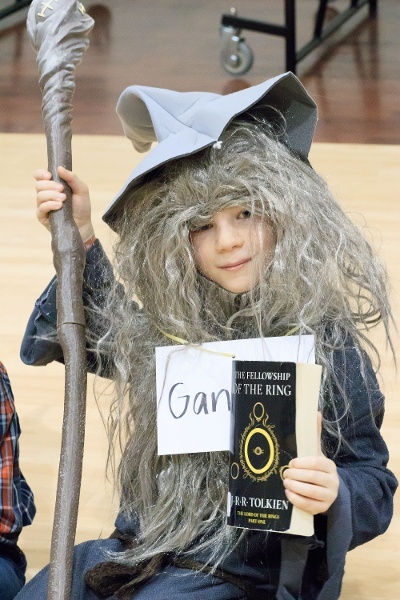 At the end of the week, students come to school dressed as characters from their favorite books. The teachers even get in on the fun! During the morning, the K-6 classes walk around the gym for a character parade, showcasing their creative costumes. Parents snap photos, and kids get ideas for books to read during the rest of the year! 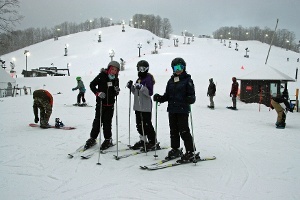 Perhaps one of the longest standing winter traditions at BCS is the annual ski trip at Boyne Highland Resort up north. This trip occurs over the winter break each February, and it spans all age ranges. It’s an excellent opportunity for families to bond on the slopes, play card games, have Bible studies together, and share stories over copious cups of hot cocoa. Winter in Michigan can actually become a blessing rather than a curse when it is lived out in rich community!